Between 25 and 29 August 2018, cardiologists will be returning to Munich for the renowned European Society of Cardiology (ESC) Congress. Around 30,000 heart specialists from across the globe are expected to attend the 2018 event. This is the fourth time the key scientific event for cardiologists globally will be taking place in Munich. The 2018 ESC Congress will also include a public event for the first time. Featuring talks and presentations on the topic of cardiovascular health, this event will take place in Odeonsplatz square in the city centre, on the first day of the Congress (Saturday, 25 August 2018). The Head of the Department of Labour and Economic Development, Mayor Josef Schmid, considers it a significant sign of success that the ESC organisers continue to place so much confidence in the city. Dr Reinhard Pfeiffer, Deputy CEO of Messe München, also emphasises Munich’s capability as a conference hub. He stated that the city is perfectly equipped to host events of this magnitude. 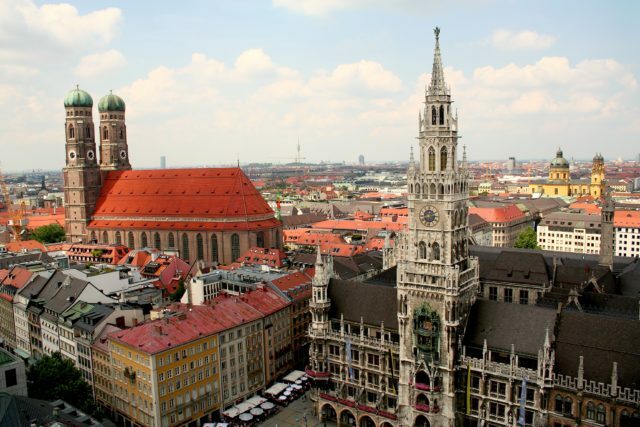 The congress organisers and visitors alike will find Munich has everything required for an exciting and successful stay. Munich is yet again demonstrating why it is known as one of the key conference destinations in Europe. Munich’s application to host the 2018 ESC Congress was promising from a very early stage: the moment the 2012 ESC Congress was concluded, the organisers made it clear that they intended to return to the city as soon as possible. The European Society of Cardiology was particularly struck by the expertise, experience and top-class convention and exhibition spaces, as well as Munich’s capacity for welcoming congress visitors with open arms. The ESC Congress is an annual event hosted in cities on a roving basis. It is both a trade fair and social experience, where scientists and doctors present the latest trends and developments in experimental and clinical cardiology. The 2018 ESC Congress will take over the whole of the ICM (International Congress Center Munich) and several trade fair halls. Major conventions like the ESC Congress facilitate a huge inflow of purchasing power to Munich and its surrounding region. As the most recent study by Munich’s Ifo Institut für Wirtschaftsforschung (Ifo Institute for Economic Research) shows, convention participants represent a special economic factor in a region. The City of Munich’s Convention Bureau is part of the tourism division of the Department of Labour and Economic Development. It is the first official contact partner and independent service provider for all national and international MICE planners. The Convention Bureau’s unique strengths include its ability to offer customised solutions, from a single source with an excellent network encompassing all levels of the city. As well as consulting and coordination, the Convention Bureau’s service portfolio also covers acquisitions. In its efforts to successfully establish Munich as a hub for conferences and events, the Convention Bureau works closely with key figures in Munich’s convention industry. Munich Congress Alliance – a network for professionals in the events industry, run by the Convention Bureau – has the task of specifically promoting the conference and events industry in Munich.